Resisting arrest without violence occurs when you have done something to get away from being arrested but that is not violent towards the law enforcement officer. Resisting an officer without violence is still a crime and often refers to fleeing from the scene or attempting to elude the police officer. If you have been charged with this crime, then you should seek legal representation. You don’t want something like this, which may have been a simple misunderstanding, to impact the rest of your life and indent your criminal record forever. 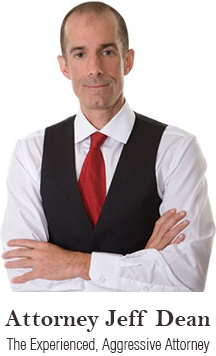 Jeff Dean is an experienced Miami criminal defense lawyer with a record to prove it. He has successfully handled all types of criminal cases, many of which involve resisting an officer and arrest. Whether this accusation is on its own or whether it is added to another crime in which you have been accused of, Jeff Dean will pursue the best outcome possible based on the evidence and your unique situation. The good news about a resisting arrest without violence crime is that it shows you did not act out and get violent with a police officer. This can be counted as a plus in your favor. Fleeing – fleeing occurs when a police officer attempts to stop you and you refuse. It often happens in the car and usually occurs after you have committed a driving offense, such as speeding or reckless driving. Resisting arrest without violence can also occur on foot. You may try to outrun a police officer or you may try to hide from him. Again, this can be seen as a direct attempt to resist arrest but it could also be seen as a misunderstanding. People are often wrongfully charged with resisting arrest. In many cases the accused is merely reacting defensively to excessive force by the police officer, who in turn labels that reaction as “resisting arrest.” It is important you speak with an experienced attorney about this, as well as the other defenses that may exist in your case.